I have always been a passionate film watcher as far back as I can remember, I just love getting lost in a good film, to the extend that quite a few people have made funny remarks on my “obsession”. I don’t know what it is and why this is such passion of mine, but for some reason I am just a bit of a walking film dictionary, completely unintentionally. So much so that my father in-law often makes the remark that if he was ever on who wants to be a millionaire and got a film question, I would be the first person he would call. But it isn’t just the actual films I like, I loved my short film makeup carrier, despite the unpleasant experiences with makeup designers and stressed out film crew, I loved every minute of standing I the rain with mud up to my knees, and was so fascinated about the whole process behind how a film comes together. I don’t get an opportunity to go to the cinema as much at the moment because of house renovation taking up time and money, even though it is possibly a perfect night out for me, to go and see a really good film at good cinema. But currently we have the big LoveFilm subscription, which allows you to have films at home via mail and lets you watch movies online as well. I have tried out Netflix, but found that most of the series where not up to date and there weren’t a lot of new films on there either. So as I have seen a lot of films in my time, I had already seen most of the stuff on Netflix, which made LoveFilm the better choice for me personally. 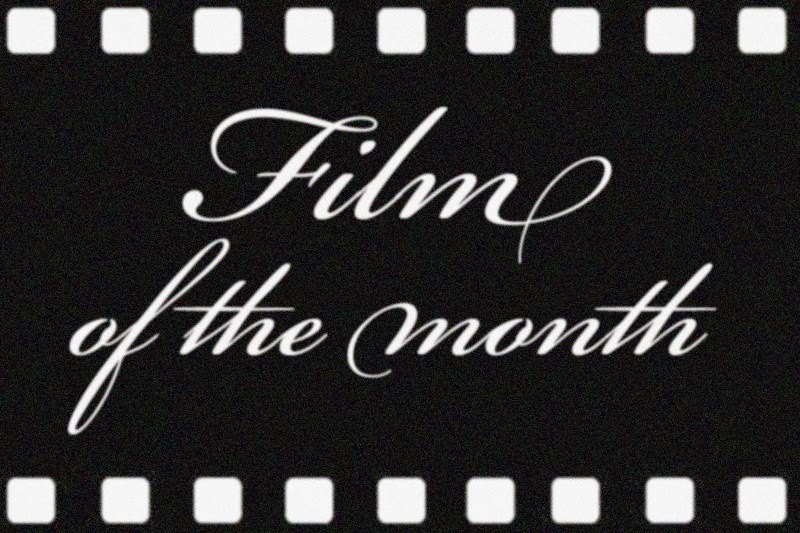 I want to start doing a film of the month review on this blog, of a film I have watched that month, from an old film, to new on DVD or one I have watched in the cinema. But this month I will just do my top 5 current favourite movies. The Station Agent. I have watched this film to many times to count, and I don’t think I will ever get tired of it. I do have a hard time explaining what it is about, because there isn’t really a big plot or lesion in this film, essentially it is about 3 people there are a bit lost in their own ways, and how they come together in a bit unusual way. Really sweet and life confirming. Amelie. But who doesn’t like this! It is just a really sweet film that is made in the most amazing way, with the colours and the way it is put together with camera angles and clips. La Vie an Rose. I grew up with my mother listening to Edith Piaf as it reminded her of my grandmother, and I went to see it with my mother in an old cinema in Denmark that is like an old theatre. The cinema was filled with elderly ladies all wearing a lot of old fashion perfume, which smelled like I would imagine old Paris would smell, so this was a real experience for all the senses. But on top of my first experience watching this film, I just love Marion Cotillard performance and the amazing makeup in this film. Lock stock and two smoking barrels. I like the cheeky English humour in this and the way the story evolves. But most of all I like the way the film is shot, that way only Guy Ritchie does so well, and the use of muted brow colours that dominate the film scenes, really setting the mood for the film. Willow. Now I love a good fairy tale movie, and this is by far my favourite one. It could be that it is because it is one of the first films I remember watching in the cinema, but I still get dragged in watching it today. It is just a really good example of how a fairy tale movie should be, and it is made in a way, that despite being able to see the special effects, they don’t make you cringe compared to today’s standards. I wasn’t really sure about this antioxidant when first trying it, but I am now a happy user. 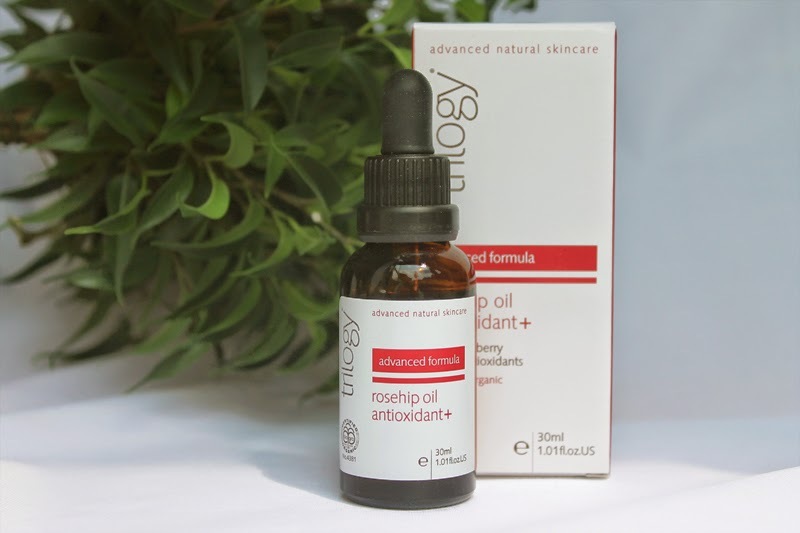 I have been using the Trilogy rosehip oil antioxidant+ for about 3 months now, I am really happy with it and can see a real difference in my skin. When I first opened it and smelled it, I was sure the oil had gone bad, as it really didn’t smell very pleasant. I was even very close to writing the company to ask if it was suppose to smell that way. But after reading a few reviews on the product, quite a few said that they weren’t keen on the smell. I can now report that the product only seemed to smell in the beginning, and after a few weeks, I didn’t notice the smell at all. Then there were the fact that my whole face became very red and hot first time applying it, so was quite worried that I was having an allergic reaction to the product, but it went away completely within an hour, and I know from work that these symptoms can just be your skin reacting to new ingredients, so kept using it and already the second time using it wasn’t as bad, and after a week my skin didn’t react to the product any more. Now that being said, I have tried quite a few antioxidants, and this is by far the best oil based one I have tried. It is based on rosehip oil, that is said to reduce pores and even out you complexion and can really see a difference in those two areas. I have used antioxidants that was jojoba oil based or dry oil based, that gave me blocked pores and dry spots, where this does neither of those. Despite being oil based, this has not made my skin more oily, but have actually evened out the oily and dry areas, to being more harmonious. I can also see a difference in my hyper pigmentation they just seem more evened out. It isn’t a big difference, but despite it being summer and I have been in the sun a lot this year, I wasn’t expecting to see a difference at all. I also use a drop on the back of my hands, and I really notice the days I have forgot to use it there, as my hands just look a lot older those days. This is really a product I would recommend and would defiantly repurchase it. For more information on the product, click Here. And read my post on why to chose an antioxidant for your skin,Here. Why use an antioxidant serum? I used to work for a company that distributes cosmeceutical here in the UK, which was where I learned about skincare and the importance of antioxidants for your skin. I am by no means a qualified beauty therapist, and I am not an expert in any way, but when I use to do professional training, I often got the question, why should you use an antioxidant for your skin? Before I worked with skincare myself and was educated in how skin regeneration of skin works, I would get so confused when talking to a sales assistant, selling skin care. They would quite often explain what an antioxidant is, with big, difficult to understand words that they didn’t even seem to understand completely them selfs, and I would feel even more confused than before I went into the shop. So because of that, I found a visual way to explain it, that everyone could understand, not just qualified beauty therapist. Imagine your body as one giant machine, which transforms the food we eat into nutrientsand antioxidants for your body and its organs. Now despite the skin being our bodies biggest organ, it is often the last one on the list to get a piece of the antioxidant pie. This means that most people don’t get enough antioxidants through their diet, for the skin to be optimally protected against everyday dangers. Just like most of us take a daily vitamin, just to make sure we are getting the vitamins we are not getting through our daily diet, the answer for the skin is an antioxidant serum. Together with a balanced diet that includes antioxidant rich fruits and vegetables,that will help your skin with the antioxidants it needs to fight and repair to keep you skin at its optimal. A few have asked if is then still necessary to wear a spf, when you are using an antioxidant and it is. Think of the spf as the first defence when imagining the fight agains sun damage, that will keep most of the rays from making damage. Antioxidants are then the second defence that will try and repair and make your cells stronger to withstand any damage that might get around the spf. So imagine spf as soldiers on the front line for your skin, and an antioxidant as nurses behind the line of fire taking care of the wounded. I have to admit that I have always been intrigued, by English and American foods and sweets/candy. When I was younger and living in Denmark, one of my favourite things was to go to the English and American shop in Copenhagen city centre. The shops were right next to each other and everything in there where very over priced, which meant I often went away from there with an empty wallet and only a small bag to show for it. But that just meant that it would be even more of a treat and not something I would do that often. 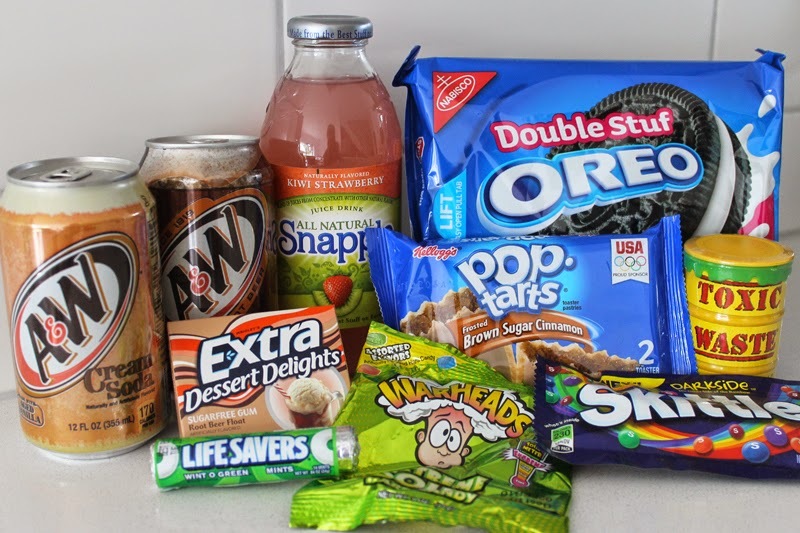 Today living in England I am obviously able to get everything English from the local supermarket, but my American candy fix I now get online. It still isn’t something that happens that often, as in general I eat quite healthy and having a huge bag of Oreos in my cupboard, would quite quickly change that. But with a boyfriend that is crazy about Root beer and vanilla coke (that you can now get in the uk), we occasionally make an order. My latest order was from www.americansoda.co.uk and I have bought from them a few times, always with great service. Double stuffed Oreos (because the American version doesn’t contain dairy, so great if your lactose intolerant). Snapple, Kiwi Strawberry (taste great, but the real winner for me with this product is, the pop noise the cap makes when you open it….I know I’m a bit nutty like that). A&W Cream Soda (haven’t tried before, but had an idea that I wanted to taste the difference from the English stuff, and maybe try making a lactose free version of Harry Potter butter beer). Extra gum, root beer flavour. Skittles, Darkside (different flavours from original).